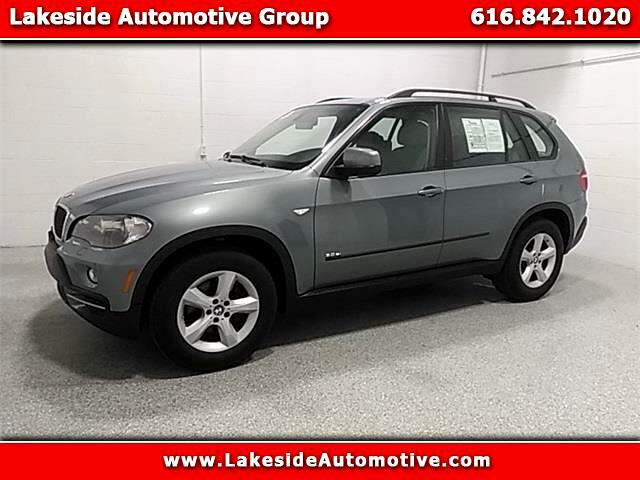 2008 BMW X5 3.0si Space Gray Metallic Odometer is 20519 miles below market average! ***ALL-WHEEL DRIVE***, ***SUNROOF***, ***LEATHER***, ***HEATED SEATS***, ***CLEAN CARFAX***, ***LOW MILES***, ***DVD PACKAGE***. * 2008 KBB.com Brand Image Awards Lakeside Automotive Group is located at 14953 Cleveland St. Spring Lake, MI. Under new ownership since October 2015, we are honored to be able to build upon the great reputation that has been established at Lakeside since 1966. Our staff has a strong commitment to each and every one of our customers and the community in which we serve. One visit and you’ll experience how we’re driven by value and witness our desire to be the preferred pre-owned vehicle dealership in West Michigan for years to come. Visit Lakeside Automotive Group online at LakesideAutomotive.com to see more pictures of this vehicle or call us at 616-842-1020 today to schedule your test drive. Message: Thought you might be interested in this 2008 BMW X5.